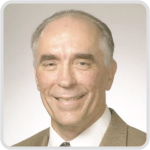 Tom Tomlinson, PhD, will be lecturing to the MSU DO/PhD students on September 18 as a part of their seminar program. He will be speaking on Ethical Challenges in Palliative Care. The DO-PhD Program sponsors academic and social events to foster a sense of camaraderie and to expand the horizons of the students. The purpose of the DO/PhD Seminar Program is to introduce DO/PhD students to exceptional physician-scientists and translational research both from Michigan State University and from other distinguished academic institutions. From September to March seminars are held jointly with the MSU MD/PhD Program. This entry was posted in Center News, Teaching and tagged bioethics, MSU College of Osteopathic Medicine, palliative care, Tom Tomlinson. Bookmark the permalink.